Automatic door activators are designed for the actuation of automatic swing, sliding, folding and curved sliding doors. They use active infrared light sensors that register people and objects, resulting in a detection zone that is accurately adjustable. Apart from human beings and animals, objects such as shopping trolleys and hospital beds trigger an opening signal, provided they are located within the detection zone. 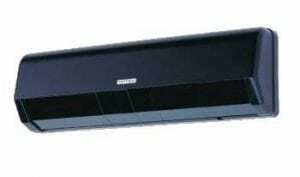 Automatic door activators are used to engage automatic door actuators and pneumatic door openers. There are a number of varieties that provide various functionalities. We have the approach sensor, such as a radar sensor (the door opens when a user approaches it), the push button mechanism and the pressure mat (the door opens when a user stands on the mat). There is also the access control activator – the door opens when a user activates a code reader or a swipe reader with a fob or remote control button. The user is authorised to go through the door and after a pre-determined time the door closes and locks. An automatic door operator reopens the door if it closes into an obstacle (auto-reverse) on most modern automatic door operators. However, most automatic doors have sensors installed on them to prevent the door from ever coming into contact with pedestrians using the door. Automatic door activators come in a variety of shapes and sizes, and the key is knowing which activator is the right one for the job in hand. The experts at Automatic Access have experience with all kinds of automatic doors, so they can be trusted to always choose the right tool for each door. Our engineers individually assess each company’s requirements and the doors that they already have in place, so that a bespoke solution is proposed for each client. Passive infrared movement detectors react to the radiation of heat in conjunction with movement and are therefore suitable for the detection of people. Shopping trolleys, for example, are not detected due to the lack of heat radiation. Radar movement detectors scan all objects moving within the radar zone. Movement within the radiated area causes a delayed reflection, which is forwarded as a signal to open the door. Designed for the actuation of automatic swing, sliding, folding and curved sliding doors. Two detectors are recommended to ensure the best possible detection of a person within the entire opening area when doors are 2000mm width or wider. 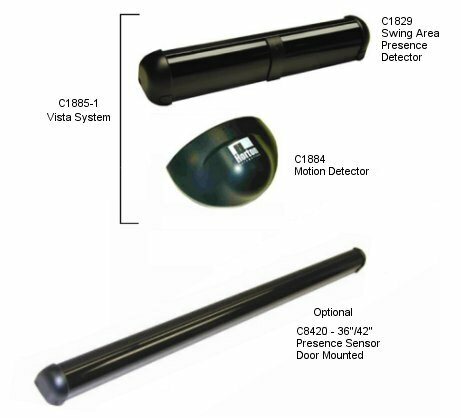 Safety sensor suitable for automatic swing doors for hinge-side door leaf installation. Safety sensors between sliding doors detect people, pushchairs, wheelchairs and small children.